Gorgeous views of the main channel of Logan Martin! Garage with bathroom, small kitchen area, porch and deck already on property will make an excellent guest house. Lot is ready for you to build your dream house- electricity, water already on site! House plans are already drawn up for the site. 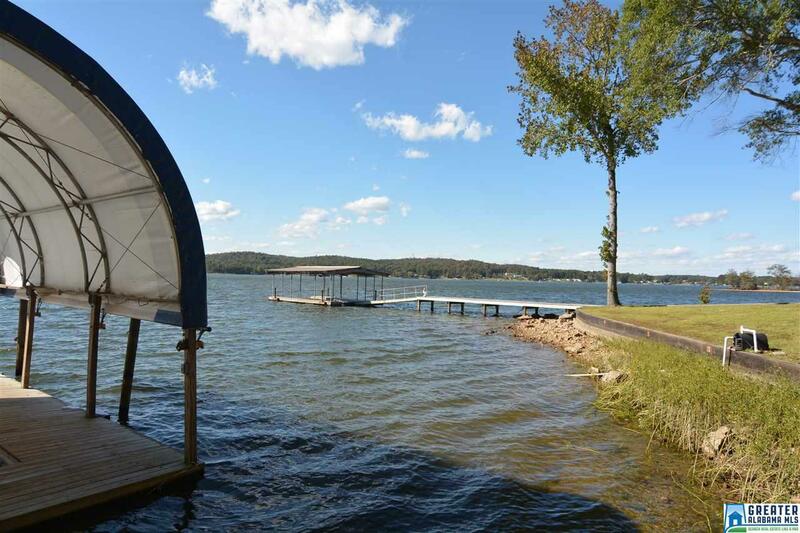 Floating dock/covered boathouse with room for your boat and jet skis. Call today to schedule a private tour! From Hwy 231 S- left on Logan Martin Dam Rd. Cross dam and take 1st left. Then left on Cedar Cove Way. Right on Cedar Cove Dr.